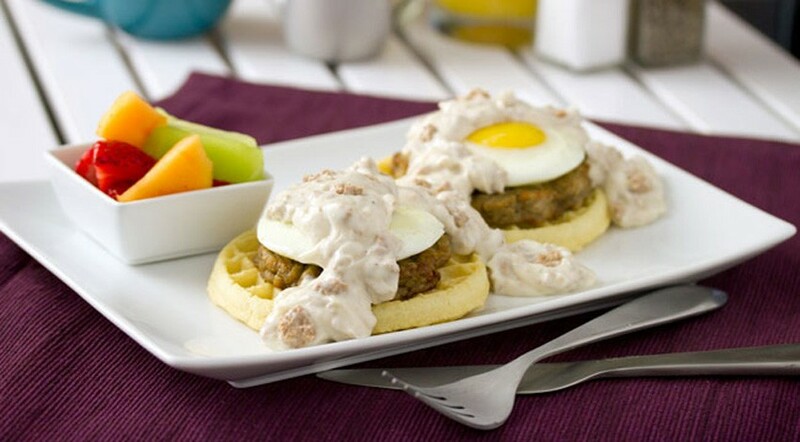 Heat VANEE COUNTRY STYLE SAUSAGE GRAVY in large warmer or oven. Layer two waffles with sausage patty and poached egg each. Ladle on 2 ounces of VANEE COUNTRY STYLE SAUSAGE GRAVY and serve.